The electric potential of a storm is defined as the collective amount of work that would be required to move its electrons from one part of a cloud to another. In thunderstorms, the electric potential arises as positively charged water droplets rise and negatively charged droplets sink, and the air between them becomes conductive. 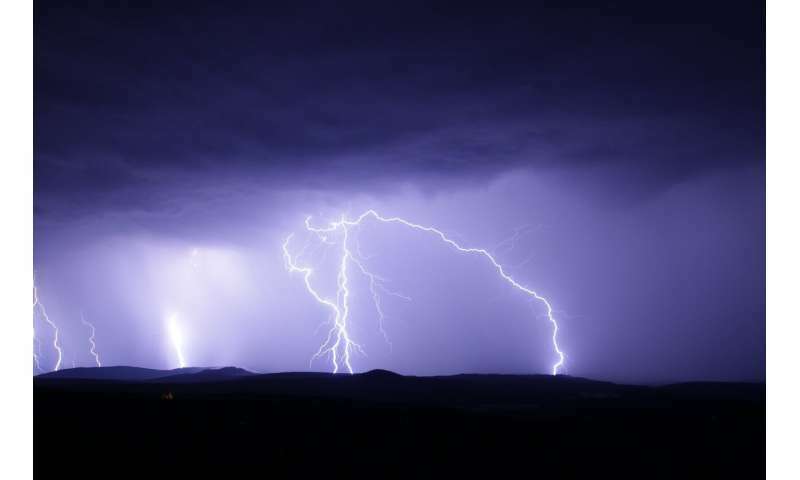 Because of their electrical activity, thunderstorms can have an impact on muons, forcing them to lose energy, which prevents muon detectors from detecting them. Muons are one of a type of tiny particles that result when cosmic particles slam into the atmosphere and break apart into millions of bits of debris—they constantly rain down from above. Scientists have built muon detectors to study them. One such facility is the GRAPES-3, located in India. It has 400 muon detectors located on the ground, covering approximately 25,000 square meters. Together, they detect millions of muons every minute. The researchers with this new effort began monitoring changes in detection levels when they noticed that the levels fell when thunderstorms were overhead. They report that they monitored and studied changes to such levels over the time period April 2011 to December 2014. During one particularly large storm that occurred on December 1, 2014, muon levels dropped a full 2 percent. 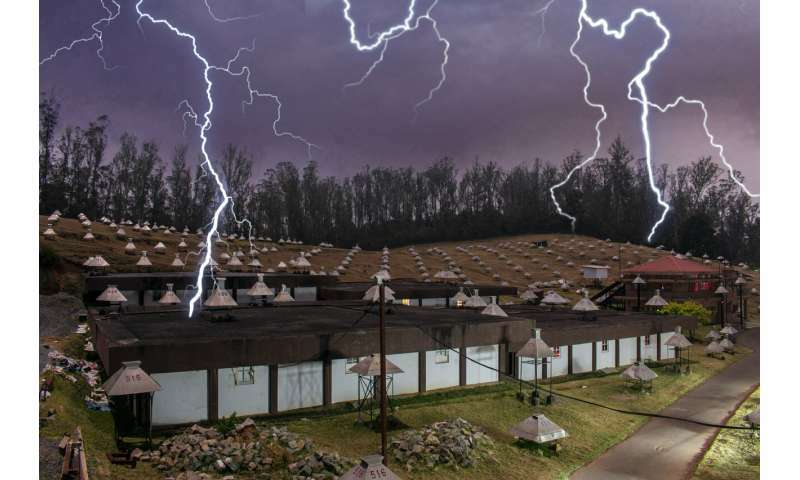 As part of their research, the team built a storm simulator to calculate the total electrical potential of a storm based on the drop in muons detected. They report that their simulator showed the December storm had a 1.3-billion-volt electric potential.